THE alleged driver of the car that crashed through a classroom wall, killing two small boys, may have been distracted by a stray water bottle. 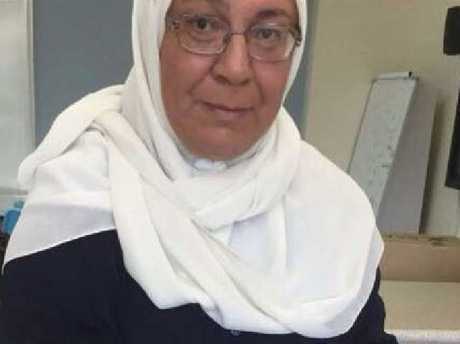 Police have said they believe Maha Al-Shennag, 52, became distracted by something in the moments before the fatal crash in Greenacre, in Sydney's west, on Tuesday morning. It's understood one line of inquiry for crash investigators is a stray water bottle may have distracted Al-Shennag. They will also closely examine her mobile phone and the wrecked Toyota Kluger for clues. A police spokeswoman would not comment on the claims as the case was now before the courts. 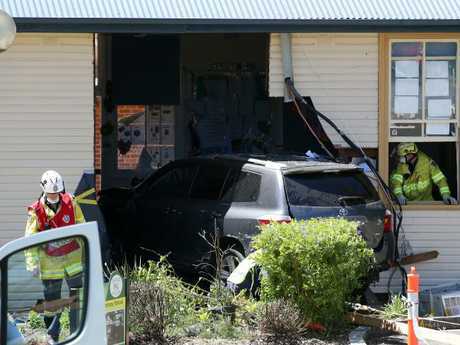 Two eight-year-old boys were killed, while two eight-year-old girls, and a nine-year-old, were injured when the car crashed through the Banksia Rd Public School wall. 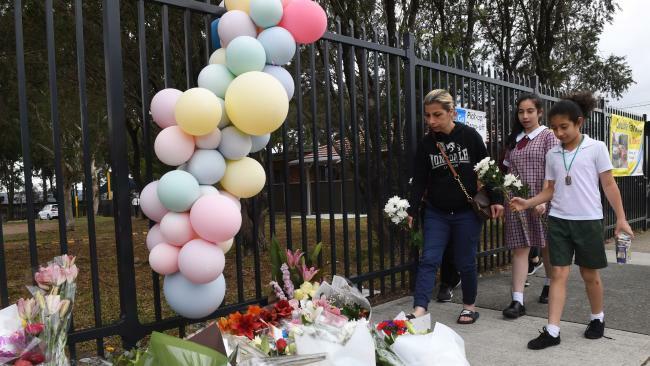 Al-Shennag was charged with dangerous driving occasioning death and negligent driving and bailed to appear at Bankstown Local Court on November 29. One of her neighbours told The Daily Telegraph : "She was so kind to us when we moved in - she bought us food and welcomed us to the street. She's always so nice to everyone around her." It is understood her husband died earlier this year. Maha Al-Shennag will appear in court later this month. After her arrest, her lawyer Nick Hanna said his client was "deeply sorry for the loss and hurt suffered by the children, the school, the families and the community". He added: "Her thoughts and prayers are with all those affected." Members of her family were photographed talking angrily with media who had gathered outside her Punchbowl home. Earlier today a family member of one the students seriously injured in the crash told news.com.au she still hadn't been told her classmates were dead. The relative said the girl had been in pain all night - but it was the emotional scars her loved ones feared the most. "She still doesn't know her classmates passed away. She keeps asking about them," the relative said. The family is delaying telling her the tragic news until she is stronger. The injured eight-year-old had not slept much overnight due to the pain she was in and also due to the trauma she'd been through. "She just had stomach and chest pain all night and didn't sleep well due to what happened - she's very frightened." There were 24 children aged between seven and 11 in the year three classroom at the time the car crashed through the wall. This morning upset children began leaving flowers and cards in tribute for their lost schoolmates. "May Allah bless you, both will be missed always," one message said. "A good heart has stopped beating, a good soul has ascended to heaven," said another. 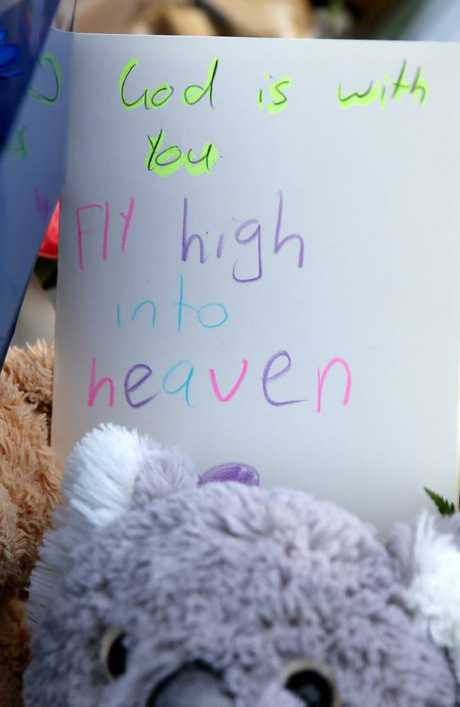 "God is with you fly high into heaven," one card said that was surrounded by flowers and soft toys. The grandfather of one of the boys said on social media his grandson loved everyone and died alongside his best friend. "My grandson is a six generation at this school, all prefect, captains, community leader, and dux last year … this was my last grandchild at this school who excelled as well," the grandfather said. Inside the school gates, a police car stood in an almost empty car park while a security guard stopped other vehicles trying to enter. The school reopened for any students who want to attend, with counsellors on site for support, however most students stayed away today. Isaac Tayba, who rushed to the school where his nephew is a Year 3 student, yesterday said it was a tragedy to see what happened. Acing Assistant Commissioner Stuart Smith said the incident was not being treated as intentional. He said forensic staff would "methodically" pore over the car to try and determine what went wrong.